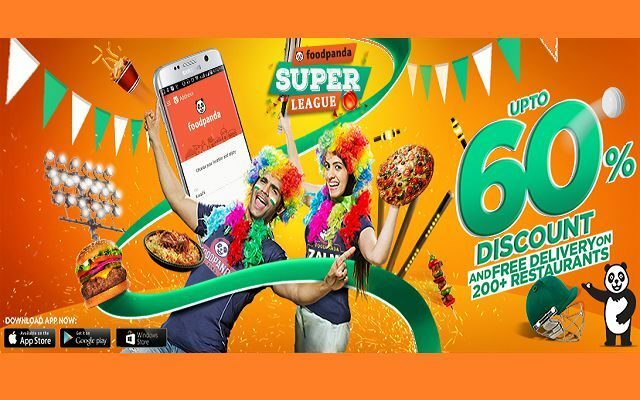 All cricket lovers who have been following PSL lately, need to start following FPSL alongside because Pakistan’s beloved foodpanda just clean swept the food scene with foodpanda Super League – #FPSL17. The pandas truly know the fact that we Pakistanis love food just as much as we love our cricket and thus managed to hit the boundary with yet another stunning campaign: Up to 60% Off and Free Delivery on 200+ top restaurants nationwide for the entire PSL season! So, while we sit in front of the screen cheering for our favourite PSL team and the hunger strikes, we can simply play a hook shot by ordering some piping-hot food from McDonald’s, KFC, Broadway, Subway, OPTP and many more! That’s not all; foodpanda has also taken up the power play this time with their PSL song, ‘Hunger Out with #FPSL17’, which has got the entire nation singing to tunes of food and cricket. Just the way PSL revels the unsung Pakistani cricketers, foodpanda has brought to the limelight, Abid Brohi, an extremely talented, budding Sibbi rapper of the country. And we just loved it! All in all, foodpanda has indeed got us covered one more time with the biggest discounts and deals worth drooling over, exciting contests to ignite the cricket passion and a thrilling jingle to keep the cricket lovers all-pumped up throughout the most-celebrated cricket festival of the year.